Looking for an affordable used luxury car around Wayzata? Look no further than Porsche Minneapolis. Here, we’re proud to offer 7 Certified Pre-Owned Porsche vehicles for sale. Whether you’re looking for a used Porsche Macan or a used Porsche Cayenne, our Certified Pre-Owned inventory offers plenty for Orono drivers to explore. Explore our Certified Pre-Owned vehicles for sale here. When you’re ready, calculate your estimated monthly payments and apply for financing online. We are excited that this 2017 Porsche Cayenne is new to our inventory. We will have photos and a detailed vehicle description in the next couple of days. CARFAX One-Owner. Odometer is 17236 miles below market average! For more information or a custom lease quote, visit us at minneapolis.porschedealer.com or call us at 763-744-9191. Text/Chat available on our dealer website. 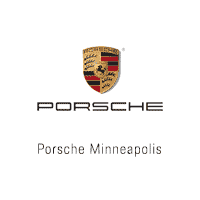 Porsche Minneapolis has achieved the honor of Porsche Premier Dealer status for two years in a row! This designation is awarded to the top 25 Porsche Dealers in the United States. Our award winning staff looks forward to serving you! Convertible season is here! We are excited to get in this 2015 Porsche 911 4S convertible with Rhodium Silver Metallic exterior and full leather Black/Platinum Gray interior. One-owner, clean Carfax, and locally owned. Optional Equipment: Porsche Doppelkupplung (PDK) 20" 911 Turbo Wheels SportDesign side mirrors Luggage net in passenger footwell Smoking package Porsche Dynamic Light System (PDLS) ParkAssist (Front and Rear) with Reversing Camera Sport Chrono Package Power Steering Plus Multifunction steering wheel Two-tone leather interior Leather Interior in Black/Platinum Grey Extended Interior Package, Dashboard Trim in Leather Power Sport Seats (14-way) with Memory Package Premium Package Plus i.c.w. Power Sport Seats (14-way) BOSE® Audio Package Rhodium Silver Metallic Porsche Crest on headrests Porsche Minneapolis has achieved the honor of Porsche Premier Dealer status for two years in a row! This designation is awarded to the top 25 Porsche Dealers in the United States. Our award winning staff looks forward to serving you! CARFAX One-Owner. For more information or a custom lease quote, visit us at minneapolis.porschedealer.com or call us at 763-744-9191. Text/Chat available on our dealer website. Porsche Minneapolis has achieved the honor of Porsche Premier Dealer status for two years in a row! This designation is awarded to the top 25 Porsche Dealers in the United States. Our award winning staff looks forward to serving you! If you’re ready to experience one of our 7 Certified Pre-Owned Porsche cars for sale, simply contact Porsche Minneapolis today.